My mission to find a retailer, either local or online, that sells Cotton Time is coming up fruitless!! I am convinced that if I was still living in Vancouver I would be able to find this magazine with ease. But alas, I'm in Victoria...where the Japanese culture is basically boiled down to one teeny tiny little convenience store, and not even a handful of Japanese restaurants. I am slowly going crazy at not being able to acquire even one copy of this magazine!! I don't even care if it's an uber old issue, I just want one!! I saw a few on sale via Etsy, but cannot justify paying over $20 for the magazine and then another $10-20 for shipping alone. 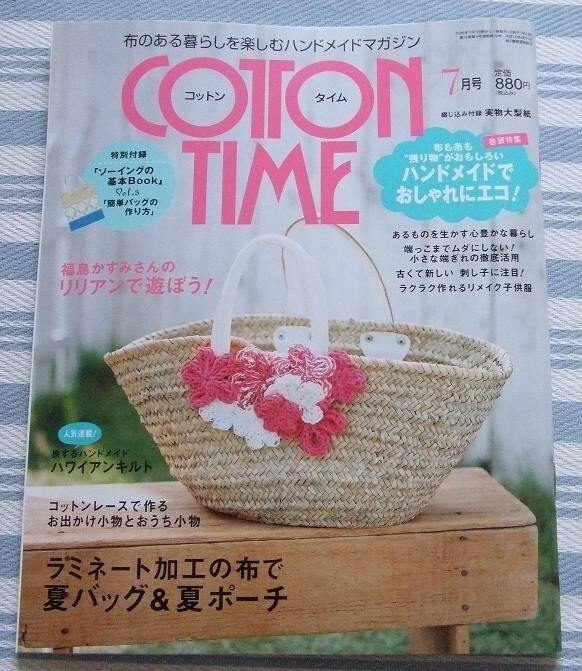 If anyone out there has access to a place that sells Cotton Time each month, let me know!!!!! I'm getting desparate! !